So, you have moved the last box to your new home and now the moving process is done. If you think that it is over, then wait because it is not. People think that once their goods reach to the new place everything regarding the move is over but it is not. Unpacking is the most essential and in the meantime the most complicated process of relocation. When it comes to packing, you can just stuff the items in a box and can move ahead but unpacking is all different from this. You need to follow a complete strategy for the same and also have to make sure that things are arranged properly. In case you are going to face the situation then we have something worth learning for you. Here are 12 tips that will make unpacking a cakewalk for you. After you make a move to the new home, these 12 tips will help you to make unpacking cakewalk. Follow the tips and you will feel that you are able to setup your new home without mess. Once the things are at the final destination, the first and the foremost important thing that you are supposed to do is to crosscheck the inventory. You should do the task, right there only because in case of any loss or damage you can immediately call the moving company or the transportation services you have hired for shifting. 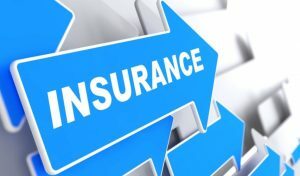 Before you make a move, you should always make sure that your goods are insured. Moving under a safe shelter will always make sure that you will not meet with any unwanted situation by the end of the move. In case, any damage has happened during the shifting of things then you should apply for the insurance immediately. Taking pictures of item before and after moving will help you to get the claim easily. In order to lead a comfortable life at the new place, you should have proper utility supply. Checking if the utility supply is working or not is all on your behalf and you should do that adequately. In case you are moving to a new city then you should contact the utility supply company immediately, but if you are making move in the same city then it would be better to fix the things before you move. Making a floor plan for arranging the things is as necessary as having a professional guide with you while you do anything. You should have a clear idea as what things would be put where. Once you are confirm about the location of the things, you can manage rest of the things easily. Hygiene is the most important thing that has to be done while relocating and especially when you are packing and unpacking the things. Make a clean space to put all the boxes and clean rest of the house. Start cleaning from top to bottom. Make sure you are cleaning every corner because this is the only time you can do it. Once the things would be arranged, you cannot clean it in that way. In order to do the things in easiest manner, you should remove all the possible obstacles from the way. Other than complicating the things you should make sure that you simplify the process by removing the possible obstacles on the way. You should stock the boxes before unpacking at a clean space. You should always designate the things to proper space so that, it may not become mess. 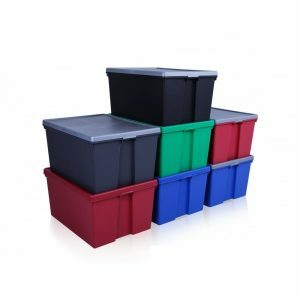 Stocking boxes at a clean space and then moving forward to place it at the right room will make everything simplified. Once the home is clean then the most important task is to transfer the boxes at the respective room. Room by room packing is the most essential and effective step of relocation. You should always make sure that you are not jumping to pack everything in one-go. It will take time, hence unpack room by room. Cleaning kitchen is very important. You should clean the whole space before you place the items there. It is suggested that kitchen should be the last place to pack and first room to unpack when you are making the move. This will help you to start the new life there unhesitant. Unpacking is a tiring task to do; hence you should clean up some space for relaxation. Nothing better than the bedroom, can do this favor for you. Make the bedroom accessible, so that you can relax in between the unpacking process. 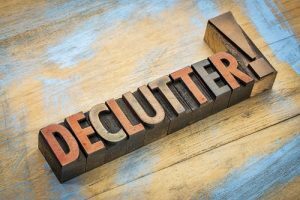 Even if you have started packing after declutter chances are high that you will still meet up with the unwanted items by the end of the move. It is necessary that you should declutter the things. There is no use to stack unnecessary items as they will only occupy the space and nothing else. Well, it is well known that unpacking is a tiring task, so don’t forget to treat yourself with some good food. Relaxing your body and soul is as necessary because you cannot afford to make yourself ill during the same. Treat and relax as they are also the essentials of moving process. Unpacking is a mystery. The more you try to solve it the more complicated it will become. You should make an effective plan. Don’t try to do everything by own because in this way you can lose your mind. Hiring packers and movers for the task is definitely an effective step. But, make sure that you are hiring them with full research. As there are already many fake and fraud moving companies that are working in the industry, hence always choose the right one efficiently.